Does Healthy need to take SO MUCH effort? It struck me today that we are nearly half way through 2016. HALF WAY. I know we all say this all the time, but wasn’t New Years like, 2 weeks ago? And now I’ve planted flowers already? O my. I’ve never been huge on resolutions, so I don’t usually feel like I’ve failed at anything by June. But THIS year I really, desperately, wanted to have at least achieved ten push-ups (even girly push ups, whatever, progress is progress) by now. But I still can’t do one. Not even ONE! I’d say it’s not for lack of trying, except that if I’m honest, it IS sort of from lack of trying. I have a messed up wrist (from a car accident years ago), and every time I tried It was just too painful. But there are ways around that. I bought those funky push-up helper bars that allow your wrists to stay straight, and I only gave them an honest effort maybe 4 times. It was just soooo hard. So I left it on the back burner. It’s not really about being strong, or having great arms. It’s about being healthy. I want to do everything in my power to give my body a chance to feel well, to work properly, so I can get the most out of my life. I understand that there are lots of things far beyond my control… but what am I doing about the things that I am able to control? Am I putting in enough effort? So many of the decisions I make to keep myself healthy are actually easy, painless things to do. Maybe it doesn’t have to be that hard. Aside from this whole push-up fiasco, I have some decently healthy habits – I feel pretty proud of myself! I actually DO every one of the things on this painlessly healthier list. So maybe I can cut myself some slack. How bout you? 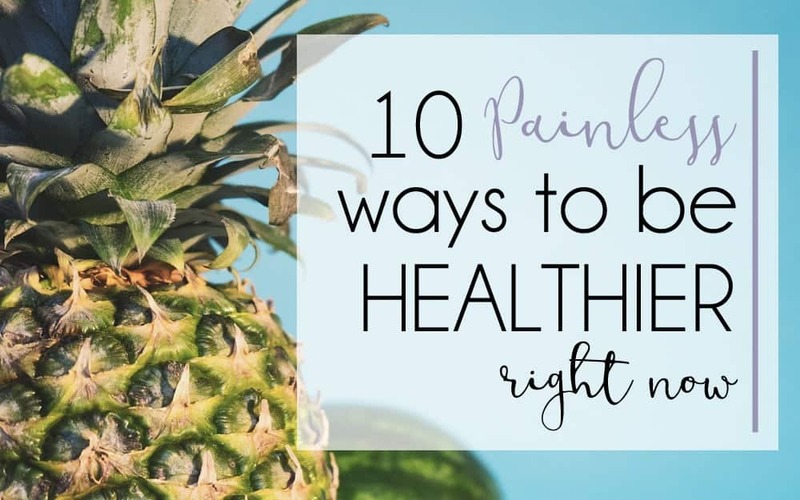 Are there any of these painless healthy habits that you need to introduce in your life? ♥ 1 – Take your vitamins. It’s just not that hard. Our western diet is (largely) lacking in nutrients. Even if we eat pretty well, it’s unlikely that we get ALL the nutrition we need from our food. I have a reverse osmosis water system that makes our water taste SO great for drinking, but it also removes all the minerals from the water. Water is supposed to be a great source of minerals! If you regularly drink wine (or any alcohol for that matter) you might be lacking in magnesium as alcohol causes the body to lose magnesium. So take your vitamins. I keep mine by the sink so I see them everyday, and everyday I take them with breakfast. ♥ 2 – Eat whole foods. Even if you don’t want to go buy organic, you can switch from processed to whole and you will STILL reap the benefits. Whole foods will take you a huge step in the right direction towards getting some nutrition from food. Whole food is food the way it was meant to be eaten. Plus you’ll be cutting down on the chemical additives / preservatives in processed foods. ♥ 3 – Quit Pop. 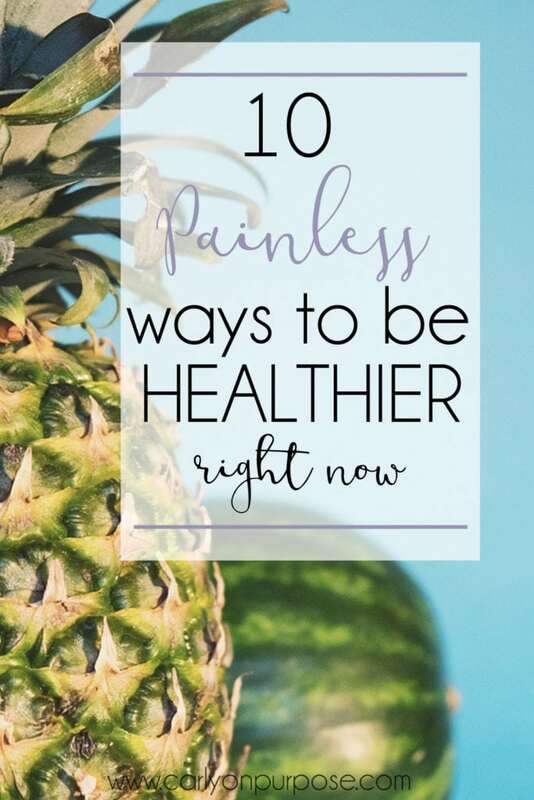 So I get that this might be the thing on this list that I’m calling “painless” that some people will think is actually pretty painful.But it’s on the list anyway, because I believe if you are regular pop drink it’s the ONLY thing on the list you have to do today. Pop is the one thing that I absolutely can not justify. I can justify wine, chocolate, ice cream once in a while. And if I was trying hard, I could even justify a single mixed drink now and then. But not pop as something to drink regularly. I know you’ve heard it before, but I’ll say it again, just for good measure. There are THIRTY-NINE GRAMS of sugar in one can of coke. You’re daily maximum, (that’s maximum, as in the most that is considered acceptable for your body) is 25 grams. 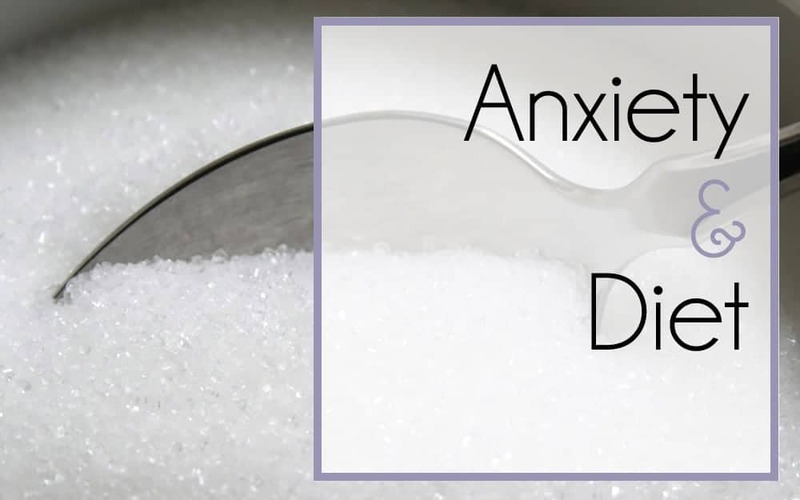 That means if you have one can of coke per day, you actually can’t healthfully even enjoy a spoonful of sugar in your coffee. ♥ 4 – And exchange it for water. (You knew that would be on the list!) When I was maybe 18 I read this book – You are not sick, You’re Thirsty, and it changed my entire outlook on drinking water. 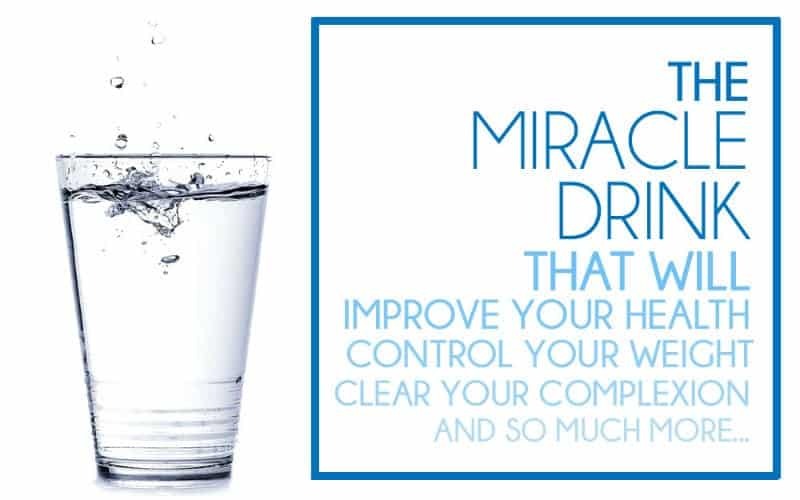 The author (Dr. F. Batmanghelidj) tells us that drinking water will cure many of the “diseases” that are rampant in all parts of the world – asthma, allergies, arthritis, hypertension, depression, headaches, diabetes, obesity ect. And for most of us in North America (well, and Europe, Australia, New Zealand ect) we have easy access to water and it’s often FREE. We all know that the benefits of drinking water are real. ♥ 5 – Look for natural remedies before you grab over the counter chemicals. (I know there’s a place for pills, I just don’t think they should be the first thing we reach for.) Look into a natural anti-inflammatory like Turmeric instead of Ibuprofen, try peppermint oil for headaches, apple cider vinegar for heartburn, kefir for digestive problems and serenity formula for stress or anxiety (I wrote a whole post on natural supplements for anxiety, because I believe so strongly in them!). The fewer chemicals your body needs to process the better. ♥ 6 – Move your body. I’m not suggesting that you start cross-fit if that sounds like hell on earth to you… I’m suggesting you find something you genuinely enjoy doing that’s a little bit active. It could be dancing, swimming, walking, rock climbing… I love running. To me, it’s relaxing and invigorating at the same time, and it does NOT feel like a chore. Find something that you love, and it won’t be hard to do. ♥ 7 – Appreciate that body that moves. Constantly hating yourself for being “too” much of one thing, or “not enough” of another will only lead you down sad and dangerous roads. Healthy people are happy in their skin. That doesn’t mean they don’t want to improve themselves or continue to work towards their goals, but they do have an appreciation for what they have today. ♥ 8 – Unwind with a glass of wine. But just one, and preferably red. 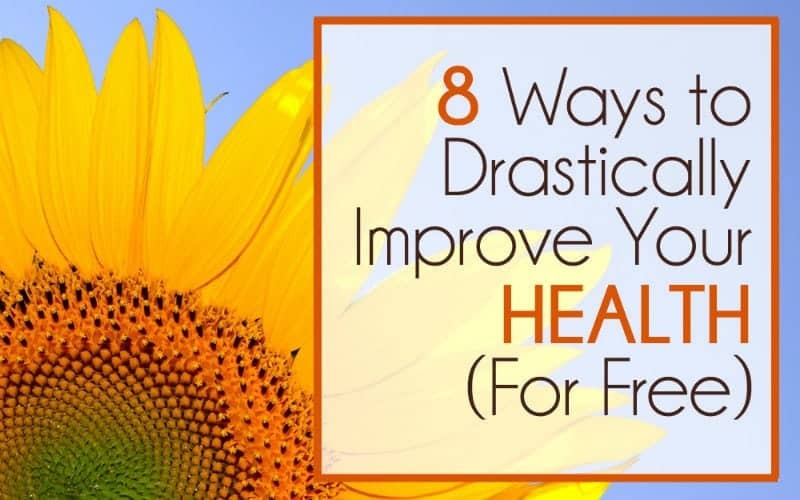 You can’t deprive yourself of all the good things in life and expect to live healthfully. If wine isn’t your thing, or you don’t do booze (in which case, good for you! ), then maybe ice cream once a week or so? Have a treat and enjoy it. ♥ 9 – Cut back on TV and your phone. Read more, write more, paint. Play a board game with your person. To have a healthy mind we need to let it wander into new places once in a while. You might even find you don’t miss the TV! I certainly don’t. And staying off social media really helps with my anxiety. 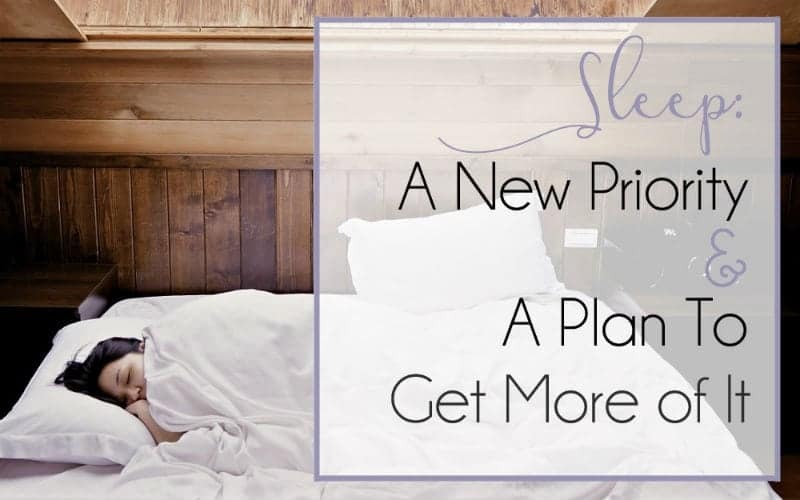 ♥ 10 – Prioritize sleep. This is a pretty recent addition to the list for me. It’s only in the past four months or so that I’ve really worked on prioritizing sleep. I get more sleep now than I did this time last year and I feel SO much better. When I was sleeping crappy (my fault) I was grumpy and everything I did just seemed hard. It’s difficult to put the effort into exercise or cooking or picking up a book if you’re exhausted. Get some decent rest! Plus your body restores itself while you sleep, so it makes sense you need to do this to be healthy. I do these things more or less without thinking about them now. I’m always looking for new ways to treat my body well, but sometimes it’s the simplest things (that we overlook) that can provide the most benefit. Any step in the right direction is a step in the right direction. So drink more water, and feel better about your health RIGHT NOW! Balancing the primary food in your life brings healing and wellness!! I love reading this… Thank you! I’m SO glad you enjoyed it Nedalee 🙂 Thank you for reading!